It’s funny but it’s not because the gist of the cartoon sadly is very real within the Democrat Party today. 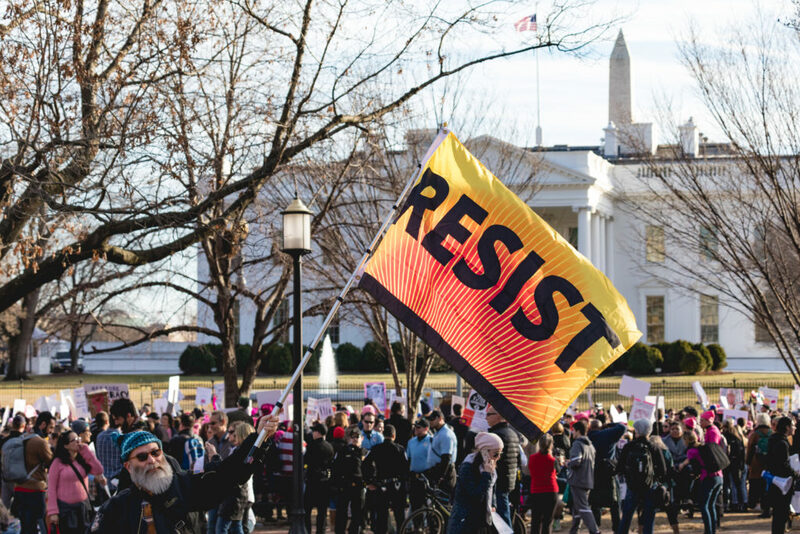 A once-proud and historic political party by Americans for Americans has turned its back on the principles of America-First in favor of citizen-last. Human Caravan To America: Let Us In Or Pay Us $50,000 To Leave. Huh. They sure don’t sound like political refugees. In fact, they sound a lot like entitled shakedown artists threatening to make trouble unless we pay them off. Wonder if the Establishment Media will share this story far and wide with the public? And there you have it. These people who demand to be let into the United States actually despise the United States. Makes one wonder why Democrats are so adamant they be allowed in? Is it because they both share a hatred of America? U.S. presidents have been promising to make that happen for more than fifty years but not until Donald Trump became president did it finally happen. All of which makes for a safer and more prosperous America – the exact thing the globalists don’t want. POTUS Trump is fighting for YOU not them. Energy Security: Last week, the U.S. exported more oil than we imported, for the first time in 70-plus years. And it happened not because of decades of federal “energy policies,” but despite them. Since Richard Nixon was in the White House, presidents have pushed national energy plans that, they said, would reduce the country’s dependence on foreign oil. These plans all had one thing in common — they all assumed that increased domestic oil production couldn’t solve the problem. Instead, from Nixon on down, Republican and Democratic presidents declared that the only way to achieve energy independence was through some combination of strict conservation measures and “alternative” forms of energy. None of it worked. Except for a brief respite in the early 1980s (when Ronald Reagan decontrolled oil prices) oil imports steadily increased. Then President Donald Trump took office and announced a radical departure from 50 years of received energy “wisdom.” In a speech to the Energy Department months after taking office, he said that for decades leaders peddled the myth of energy scarcity. Most of it is self-imposed, he said. What the country needs, he said, isn’t “alternative” energy, or new austerity measures. It’s a government that “promotes energy development.” Trump listed actions he was taking to lift federal impediments to energy production. Lo and behold, Trump was right. Advanced drilling technologies have opened vast expanses of domestic oil and natural gas. And as domestic production skyrocketed, imports have been steadily dropping. Trump doesn’t deserve the credit for this boom. Oil companies do. But unlike his predecessors, Trump understands that energy independence doesn’t require yet another “energy plan” that tells people to wear more sweaters in the winter and wastes money on “new” energy sources. It just requires government to get out of the way so that oil companies can get at the vast supplies of good old oil and gas right under U.S. soil. 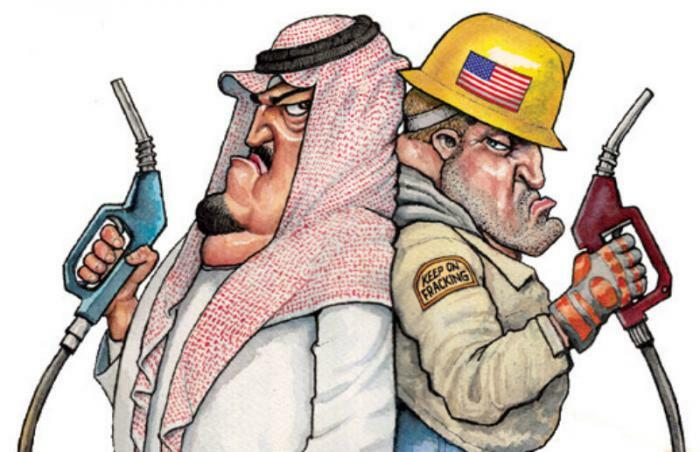 Watch out OPEC, there’s a new oil-rich sheriff in town: AMERICA. The shift to net exports is the dramatic result of an unprecedented boom in American oil production, with thousands of wells pumping from the Permian region of Texas and New Mexico to the Bakken in North Dakota to the Marcellus in Pennsylvania. U.S. crude shipments reached a record 3.2 million barrels last week, government data show. What is outlined above is why oil-rich nations like Saudi Arabia have been funding the global warming propaganda industry for the last three decades, including hundreds of millions in university funding over that time to create pre-determined outcomes in studies that were used to prop up the global warming scam. (See: Al Gore) The Saudis and others wanted the U.S. government to initiate a series of anti-energy regulations that would further America’s dependence on foreign sources of oil. The Saudi’s spent hundreds of millions on global warming propaganda but made hundreds of BILLIONS in oil sales to the United States and Western Europe. Since Donald Trump became president that has been a dramatic shift in this dynamic and OPEC nations are now scrambling to come to terms with the fact that the United States is now the #1 oil-producing nation on earth. Some might recall going to school in the 1970’s and 1980’s and being told we were going to run out of oil. (And that we were facing another ice age because of pollution.) Those were lies perpetrated by the same Saudi-funded academic institutions who then screamed “Global Warming” in the 1990’s and beyond. 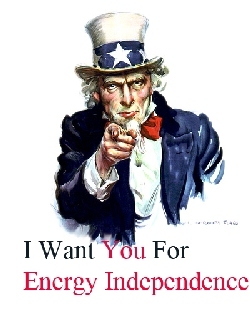 The last thing the globalists want is an energy independent America. As of now, we are winning and they are losing on that all-important front. The “Before Obama” and “After Obama” figures make clear how the millennials were targeted for what has to rank as one of the most damaging bait and switch frauds in human history. Feed them easy money for college courses that have no application in the real world, give them a near-worthless piece of paper at the end, and charge them tens or even hundreds of thousands of dollars for being victims of the scam. During the Obama years student loan debt increased by nearly 300%. 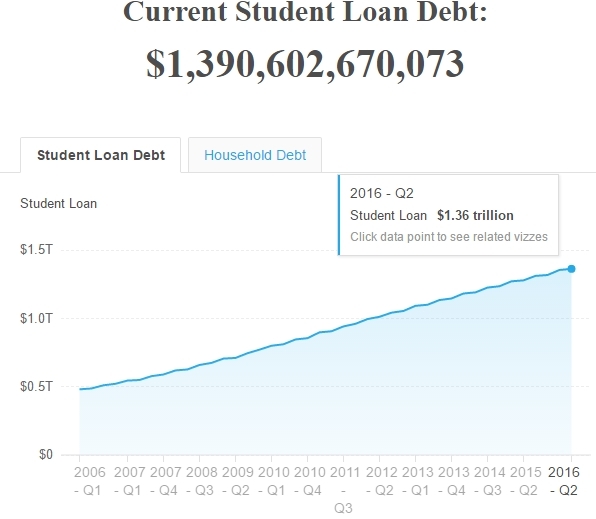 As president Obama quickly moved to federalize the entirety of the student loan program and then threw deficit-spending money into it at a rate never before seen. The results were as predictable as they were damaging. Young adults took the easy money, spent it, took some more, and in the end, found themselves burdened by crushing debt which left them totally beholden to the payback whims of the federal government. And don’t forget, what Barack Obama did for student loans he also did for credit card and auto loans. More and more easy government money targeting millennials. In short, it was the calculated enslavement of nearly an entire generation of Americans. The stock market flew up for ten years because of low interest rates and there was no other place investors could go and make good returns. The markets were also helped by many big companies conducting stock buy backs. But now the stock market seems to be in balloon territory. Some of the valuations bordered on the ridiculous. Tesla, for example. Its pot smoking CEO was forced to step down for a while for making claims he could not back up. Amazon briefly reached $2,000 per share. Who can afford such a thing? Certainly not millennials. Nearly one third of them have been forced to move back in with their parents. Many have college degrees funded by massive debt. They can’t buy homes, let alone invest in the stock market. In fact, the majority of Americans can’t afford to dabble in the stock market. Many are also deep in debt and living paycheck to paycheck. Massive debt is choking the entire system. THAT has been the plan all along. The election of Hillary Clinton was meant to finalize that process. Then Trump happened and the globalist table was nearly turned over. Nearly—but not quite. The Federal Reserve initiated an unusually aggressive series of interest rate hikes that didn’t just tap the brakes on the zooming Trump economy but brought it to a screeching halt. Think about that. The economy is poised to stall, perhaps drop into a recession, and interest rates will then also be higher. The student debt bomb will be that much more debilitating to say nothing of the national debt, entitlements, etc. President Trump knows that the only successful way forward for America is to grow ourselves out of this mess. That is why he is working so hard to reform the disastrous trade imbalances that have weakened the United States to the point of perpetual insolvency. The globalist powers against him are clearly using the debt burden that was initiated during the Obama years to counter the positive impacts of Trump’s America-First economic platform. And it’s working. The globalists are on the march again as President Trump moves to counter their attacks but he is being forced to fight on multiple fronts. (example: Mueller investigation) Even though he has proven himself to be a man with seemingly inexhaustible energy and determination, the accumulated attacks against him have to be taking a toll. A deep recession months before the 2020 Election might be just enough to finally buckle the knees of the Trump presidency. 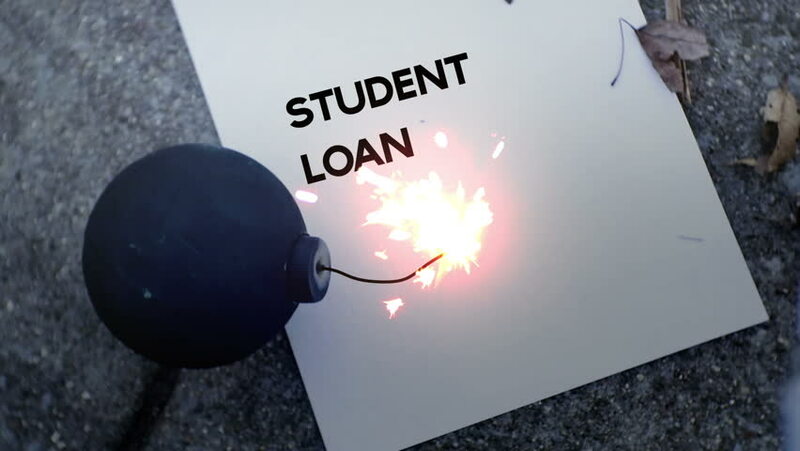 The millions of millennials who are now horribly in debt will be used as the head of the electorate spear that will pierce the armor of a president and send him packing on Election Day. Those millennials will want someone to blame (besides themselves, of course) and the media will make certain President Trump will be the easy target they seek for their unhappy, debt-burdened lives. It will be an army of discontents created by Barack Obama and soon unleashed to put the final nail in the coffin of the America we once knew: A better America. A stronger America. A sadly soon-to-be forgotten America. Is it all really so grim? Yes. Is there any hope to stop the globalists? Possibly, but it won’t be easy—perhaps not even likely. You need to be engaged. You need to be aware. You need to be willing to educate others as to what is really going on. Don’t shout at people. Talk with them. Share your own knowledge but don’t pummel others with it. In order to win the globalists need us more divided than ever. If you let anger overcome reason they will succeed in doing just that. The real resistance is here. It is now. Join the D.C. Whispers Army today. America Calls On YOU, Once Again, To Keep Her Promise Alive. REMEMBER TO VOTE. Disregard the 24/7 avalanche of anti-Trump hysteria that will be on all the major news media outlets. They are working hard to depress the pro-Trump vote. 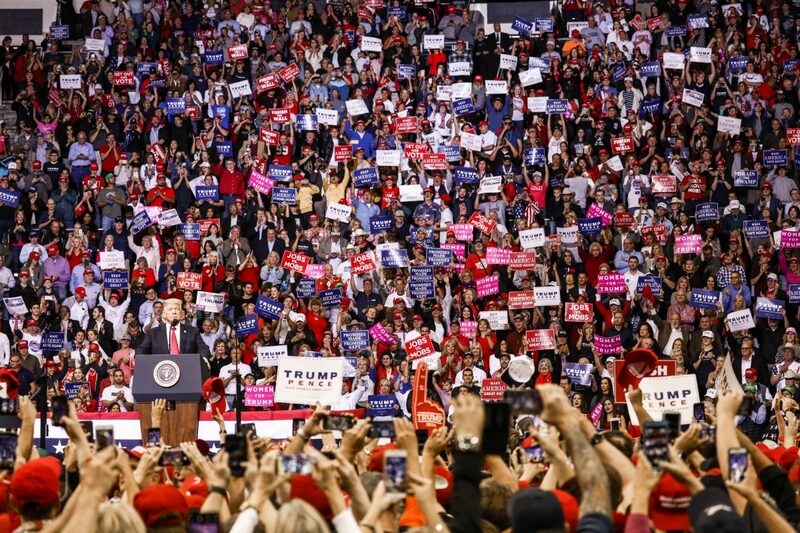 Historically, the party that doesn’t hold the White House receives a thumping during the Midterms. In 2018 THAT ISN’T HAPPENING. It is also true that historically the Democrats usually have a +5 or better advantage in the Generic Ballot. Once again, THAT ISN’T HAPPENING. The Democrat Party has devolved into a screaming mess of anti-Americanism. Should they win Congress they have promised to push the country into war with itself via the attempted impeachment of President Trump, a push for open borders, higher taxes, and even more power to the government. Your vote gives you the power to help stop that from happening. Help to save the American Dream from turning into the Democrat Nightmare. For those paying attention, the intent of today’s Democrat Party is clear. It hasn’t been the party of John F. Kennedy for a very long time. Instead, it is the party of anti-Americanism, government slavery, and open borders that would see traditional America destroyed and absorbed into a globalist nightmare. For those not paying attention, it is long overdue that you start because America is under attack and she needs your help. It’s Not About Republican vs Democrat. It’s About Those Who Love America and Those Who Don’t. Those who support President Trump do so out of a love for America. Those who oppose President Trump do so out of a hatred for America. Polling supports this premise. So too does the increasingly hostile actions of an Establishment Media cabal. 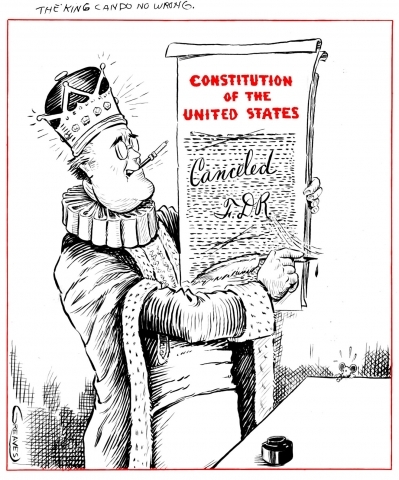 The vast majority of self-described ‘Democrats’ have fully embraced anti-Americanism. They support open border, globalist authoritative rule after years of being taught via public education and social media manipulation, to do so. They lack the ability to think freely, running toward collective mob rule and openly advocating the destruction of those who do think differently than them. Those paying attention will likely recall the multiple attacks against Trump supporters that took place throughout 2016. Such attacks have since intensified. The Establishment Media has largely ignored this trend even as social media powers tacitly endorse it. Candace Owens is a young black woman who has most recently been a leader in urging minorities in America to think for themselves and leave the “Democrat Plantation” in favor of true opportunity and self-realization. Watch the video below as a group of white “protestors” attack Ms. Owens (and Charlie Kirk – a free market advocate) screaming and chanting “stop white supremacy” and “f*ck the racist police.” Note the police there were themselves minorities – just like Candace Owens. These white “activists” clearly believe Candace Owens, a young black woman, should know her place, sit down, and shut up. This is the mentality being promoted by both the establishment and social media powers in America. If that doesn’t scare the hell out of everyone who truly believes in freedom of thought and expression, then just come out in the open and declare yourself a thought-police Nazi because that’s what you are. The rest of you? It’s time to wake up and speak out. Step up and stand shoulder to shoulder with opinions you don’t agree with but be willing to fight to the death for their right to have them. That’s America and it’s still worth saving.